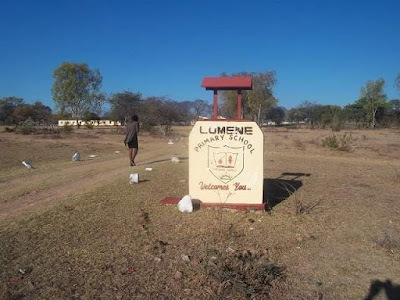 TWO teachers from Lumene Primary School in Gwanda have been ejected from the school by irate parents who are accusing them of practicing Satanism after pupils collapsed mysteriously. The incident happened last week when a number of pupils reportedly collapsed at the school and after gaining consciousness would narrate that they had gone to the “under world” with the said teachers (name supplied). Matabeleland South provincial education director, Lifias Masukume yesterday confirmed the matter and said he had dispatched a team of psychologists to the school. “Yes, we dispatched a team of psychologists there. At the moment I am in Harare for a week and can’t comment on the situation on the ground now. However, all our recommendations have been sent to the permanent secretary for further attention,” Masukume said. A source close to the matter said one of the teachers had been transferred to another primary school in Gwanda, but the school reportedly refused to accept her. “The school head refused to take her in because of the allegations. The matter is being held at the ministry level, but parents are living in fear after hearing of what happened at Lumene,” said the source. The drama is said to have started in 2016 after pupils underwent a Health ministry vaccination programme and the community believed the medication had affected them. However, the problem reportedly persisted and they agreed to hire the services of a local prophet to exorcise the school, who in turn allegedly implicated the two teachers. She said the teachers were recruiting the pupils into Satanism where they would take them to the ’under the world’ for initiation and the acts where being done through rings which they wore. The rings were reportedly destroyed with the permission of the teachers, but things came to a head when the pupils reportedly asked to be given blood while in a trance.